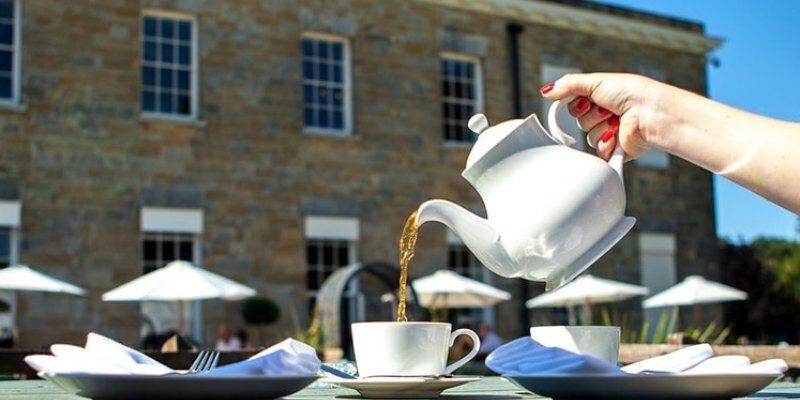 As you arrive into the park you'll be captivated by the beautiful landscape, then enjoy a traditional afternoon tea in the stunning 18th century manor. Located within the stunning surroundings of the beautiful Brighton landscape, this is a truly special afternoon tea. There's nothing quite like having a traditional afternoon tea within a historical 18th century Georgian Manor House. As you enter the Manor House, you'll be shown to your table and introduced to your very friendly server for the afternoon. In the warmer months you can sit in the gardens and enjoy your afternoon tea, while viewing the amazing surroundings. Inside, the decor is lavish with comfortable table or lounge seating. 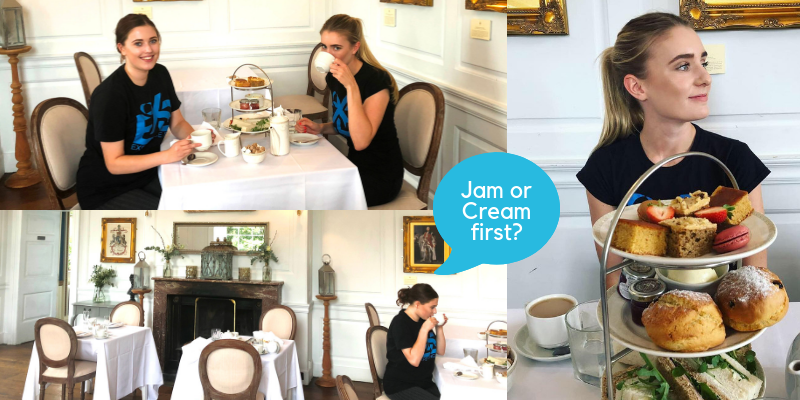 After choosing your hot drink you'll be served a classic afternoon tea with both sweet and savoury delights; 2 kinds of mini pastries (eclair and tart), scones with jam and clotted cream, macaroons, and a selection of filled sandwiches. To end the perfect afternoon it is highly recommended that you take a walk around the park, enjoying the beautiful natural surroundings. This Afternoon Tea for Two in Brighton is the ultimate escape from the modern vibrancy of the city, and makes a wonderful gift for foodies! Please ask our customer service team for dates and times available, as this experience has varied opening times due to ongoing maintenance. If you have any specific dietary requirements please mention this when making a booking. Afternoon tea will last approximately 2 hours. Participants: The Afternoon Tea for Two in Brighton is for 2 participants. This afternoon tea is for two people but if you would like to add on more participants you can. Please wear something smart casual to your Afternoon Tea experience. In the warmer months you can sit outside in the gardens and enjoy your afternoon tea, overlooking the surroundings. However, on them colder days you can sit in the lavish 18th Century Georgian Manor House. This delightful afternoon tea was a treat from my Mum and we very much enjoyed ourselves. The scones were warm and delicious and the cake selection was mouth watering. The constant top up of hot tea went down nicely. I will be buying this as a gift for Christmas. The day had arrived when Willow and I were going for an afternoon tea at Stanmer House. 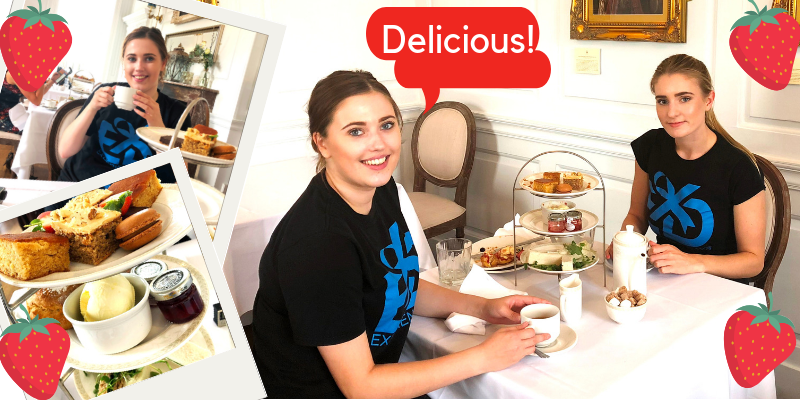 We were very excited, not to mention hungry after having purposely prevented snacking so we had enough appetite to enjoy all the afternoon tea. 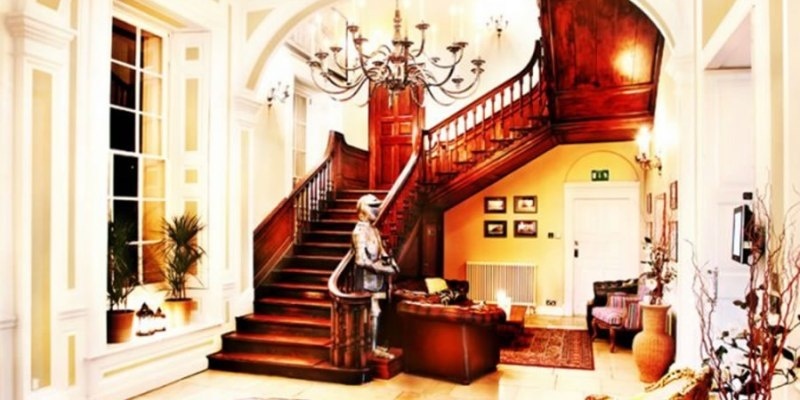 With our office being based in Brighton, we were in the perfect location to drive down to Stanmer House, which is located on the outskirts of Brighton. Even though this is what the map says, when driving down the long country drive, we didn’t feel like we were in a city. There had been a secret gem hiding on our doorstep, which we were oblivious to until today! When we reached the manor house, we went into the car park area. This was located next to the house and meant taking a short walk, perfect for when the weather is brisk - and living in England, most of our days are chilly! The acres of greenery opposite Stanmer House were beautiful, and Willow and I couldn’t help but look around the landscape before heading inside. As we walked in, we were greeted by a gentleman at a podium with the list of reservations. We were a little early, so were asked to sit in the cosy and very nicely decorated waiting area. The room was full of unique furniture, including some very inviting tall velvet chairs. A short amount of time passed before we were called and our table was ready. As we walked through to the dining room, there was a busy environment, filled with laughter and conversation. Lots of stands filled with cakes, scones and petite sandwiches made our eyes scan the room with anticipation. The tables were laid with white pristine table cloths, serviettes, cups ready for tea, and glasses for water. All the waiters and waitresses were dressed in formal, matching uniforms and were very polite and smiley when asking if we wanted to know their selection of fruit tea or if we would like English breakfast tea. Our tea pot arrived, and as we sipped, we enjoyed the gorgeous view through the long Victorian windows. After a short wait, our tower of treats was in sight! The attention to detail in the presentation was amazing, from the watercress on the sandwiches, to the cut strawberries in between the cakes. The selection of filled sandwiches included ham salad and mustard, cream cheese and cucumber – which was very refreshing – and finally, egg and watercress. My personal favourite was the ham sandwich. Before this experience, I didn’t like mustard, but combined with the ham and salad, it was very yummy! After devouring the sandwiches, we moved onto the second tier of two freshly baked fruit scones, which were bigger than my fist! The scone was still warm as I cut through it, and I started to spread the strawberry jam from its own little glass pot - I must be Cornish at heart! Willow, however, went for the Devonian method, and decided to spread the generous scoop of clotted cream first. The scones were very filling, so to make sure I had room for the final plate, I had to stop myself from finishing the second half! The cake selection was exquisite, featuring coffee and walnut cake, lemon cake, chocolate squares, and macaroons. Willow and I – both having a sweet tooth - were in heaven. The strawberries were a great touch to finish off the experience, leaving us with a refreshing taste. Overall, the afternoon tea was delightful, and the remarkable interior design meant that we could talk and enjoy our assortment of food for hours. We definitely took advantage of the constant refilling of tea, and left Stanmer House feeling like queens. This is an enjoyable experience to be shared with a friend or loved one as you catch up over tea and cake. Thank you to Stanmer House for inviting us to your afternoon tea! 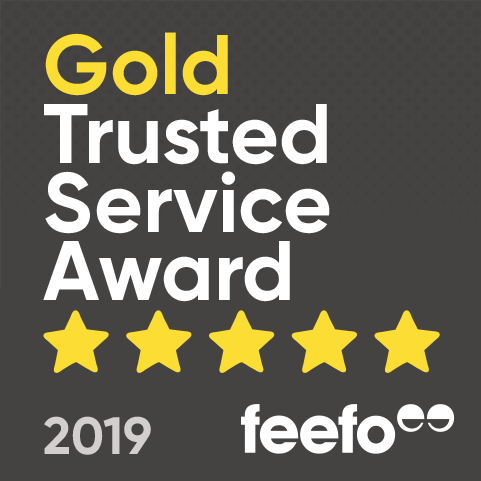 We had a fabulous time, and even though the office wasn’t impressed that we didn’t bring any cake back, we enjoyed every mouthful! 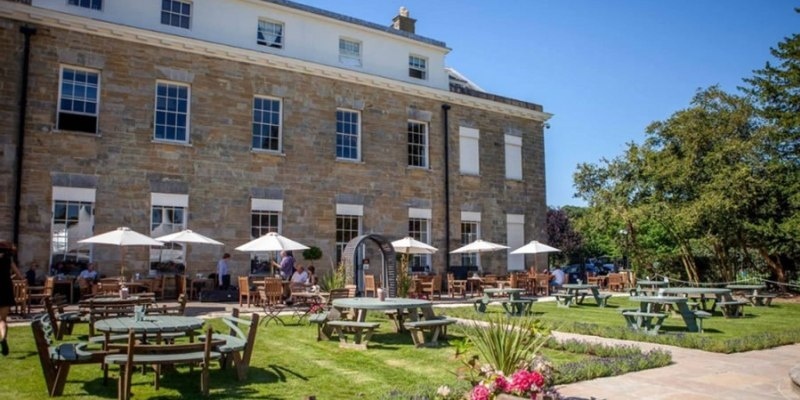 Stanmer House, located in Brighton, offers an exceptional afternoon tea experience for two, one with the option of prosecco! 1. Do you know any history of the 18th Century Georgian Manor House? Stanmer can trace its history back to 1722, and earlier. 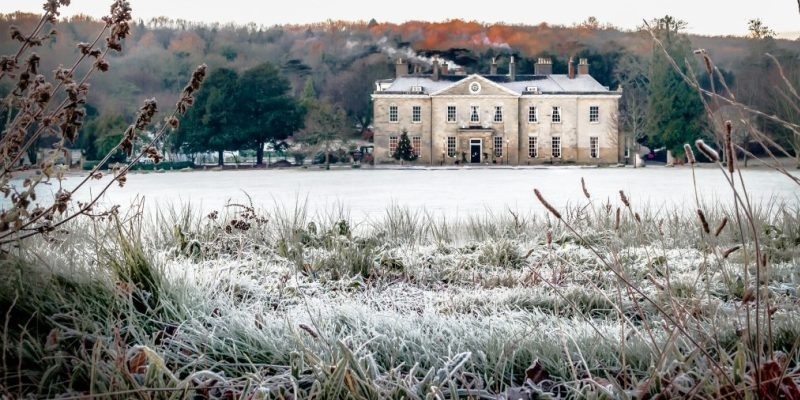 Built for the Pelham Family, who owned it until 1947, and set in Stanmer Park – the City’s largest park – Stanmer House is the perfect venue for all seasons. Stanmer Park is located near Brighton and consists of 5,000 hectares of wooded and open land. It is mainly open access for walking. The village, with its flint-knapped cottages, was built in the mid-eighteenth century by the Earls of Chichester. The knapped flint church is Grade 2 listed and has a particularly special interior with original carvings and fittings. It was built in 1838, but records of a church here go back to the 13th century and it has been a place of worship since the 8th century. 2. What makes Sussex such a good location for Stanmer House? 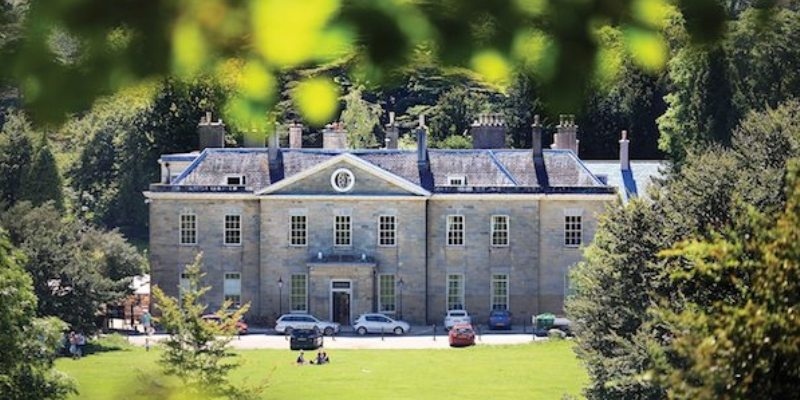 Stanmer House is almost 300 years old and sits at the gateway to the south downs national park; Unspoiled (grade 2 listed) parkland, open access countryside and ancient woodland. On Brighton’s doorstep, Stanmer boasts ample (free) customer parking and is the perfect setting for a wide range of events. 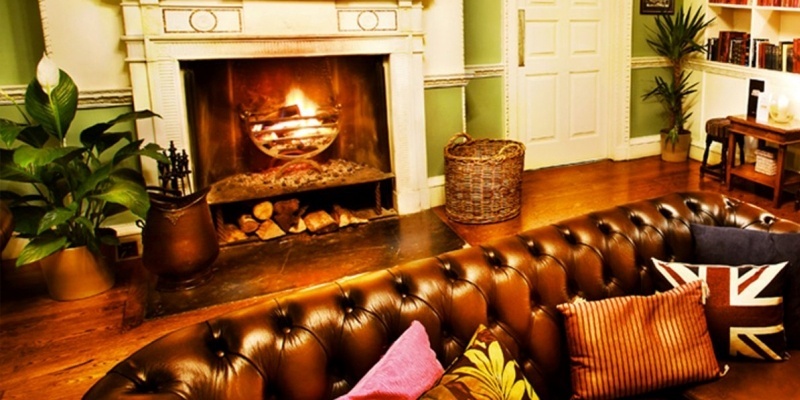 The Stanmer House Restaurant serves breakfast, lunch, afternoon tea and Sunday Roasts. 3. 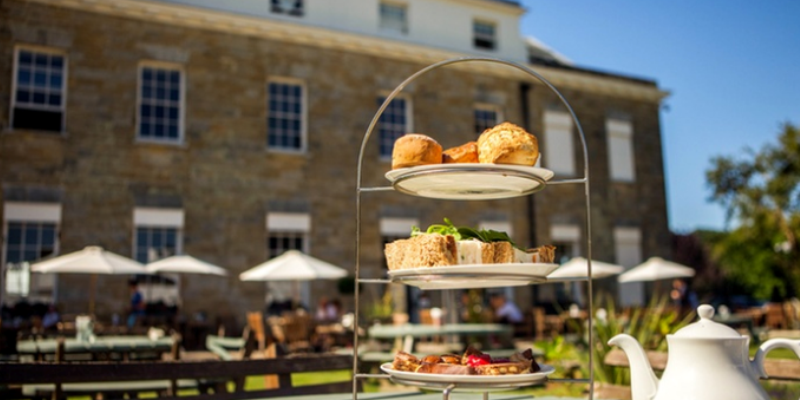 Why is Afternoon Tea at Stanmer House unique to other Afternoon Teas? 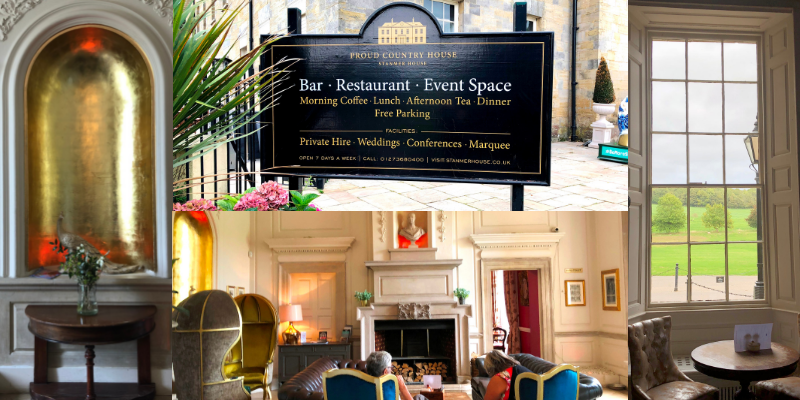 A quintessentially English afternoon tea served in the stunning, formal dining rooms with original Corinthian columns and plaster-work ceilings – and, of course, roaring open fires in ornate fireplaces. 4. What are your favourite cakes/sandwiches from the Afternoon Tea? 5. Do you have any future plans for Stanmer House? The house has been recently restored, and there is an ongoing programme of development – including the addition of 21 hotel rooms. The parkland is about to benefit from a £3.75m restoration with additional parking and a new bridal way. 6. 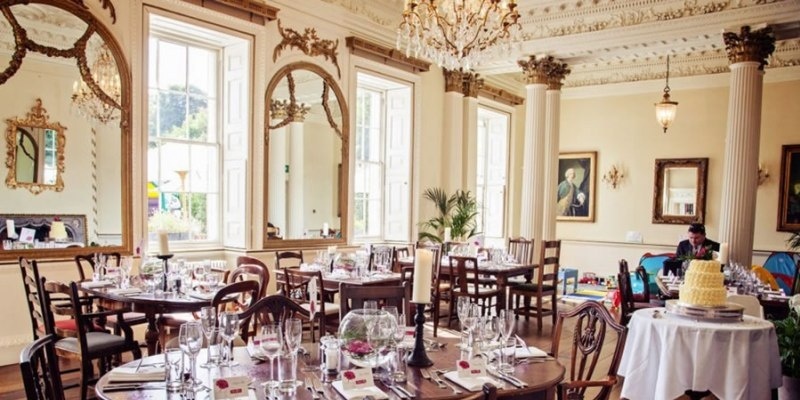 Have you had any unique events/afternoon teas at Stanmer House? A huge thank you to Rob and the Stanmer House team for a fantastic interview! I can’t think of a better way to treat a loved one or to indulge yourself than with a deliciousss afternoon tea! 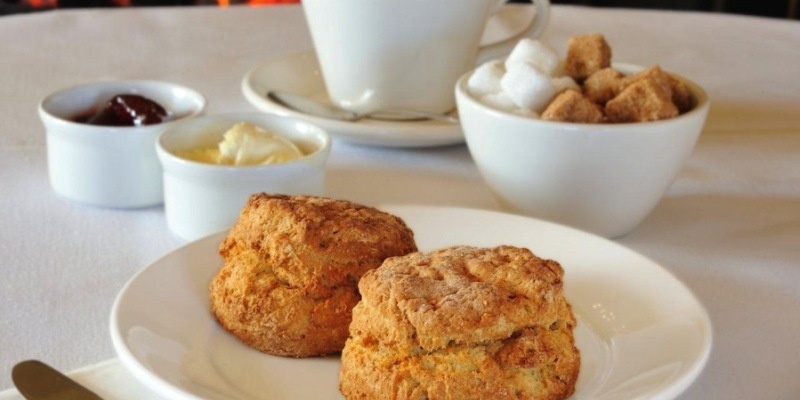 Does the Afternoon Tea for Two at offer a gluten free option? Upon booking a date for your afternoon tea for two in Brighton, you would need to ask for a gluten free option.